One of the benefits of keeping your dog busy, especially while indoors, is that he or she won't get bored and begin entertaining themselves by engaging in destructive behavior like excessive barking or chewing shoes. Here are 5 ways to entertain bored dogs so that they don't get into trouble. Keep your dog busy by using interactive games. 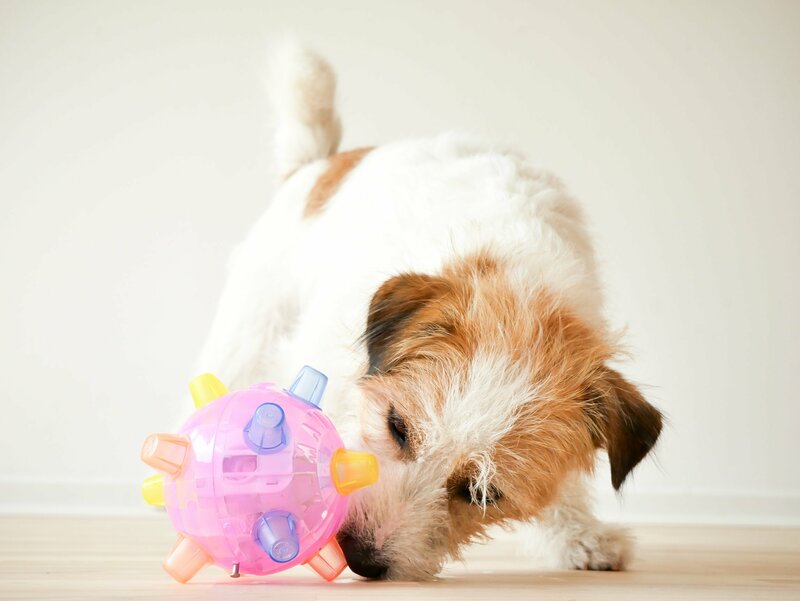 The Tonka Interactive Jumping Ball is an easy way to give your dog plenty of mental stimulation. Stand at the top of the stairs and throw a toy down to your dog. When your dog grabs the toy, call his name and have him bring the toy to you. After several rounds of this, he’ll be winded. One of the easiest ways to tire out your dog is to teach them to chase bubbles. Point to the bubbles and encourage your dog to chase them around. Catch some yourself to show your dog that there’s nothing to worry about and that the whole point of the game is to get them before they touch the ground. Hiding your dogs treats around the house and have him track it down will physically tire him out in the process. Treat dispensing toys are another great way to keep your dog busy. 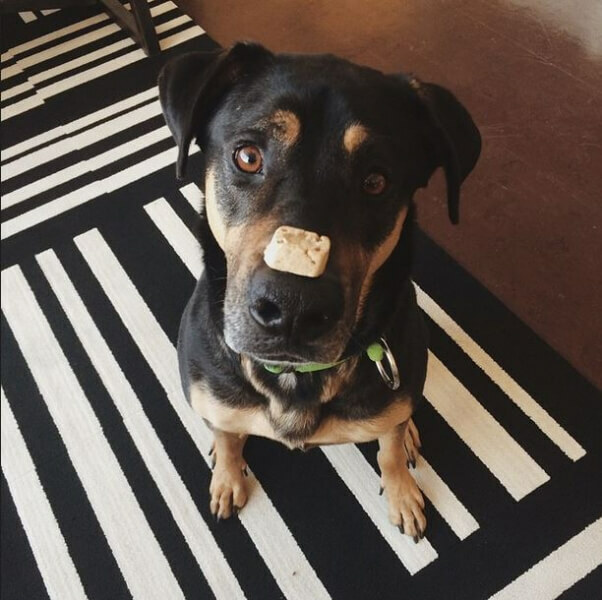 You can also train your pup with new tricks that require him to be patient when eating snacks placed on his nose. A "doggy push up" is basically when your dog sits and then "lays" down. This exercise when repeated over and over, work muscles they don't necessarily work often and it also focuses their energy and attention. Don't forget to take a snack break or else your dog might quickly lose interest.